21" Light and Sound Spiral Fun Gumball Bank - Backordered at this time. 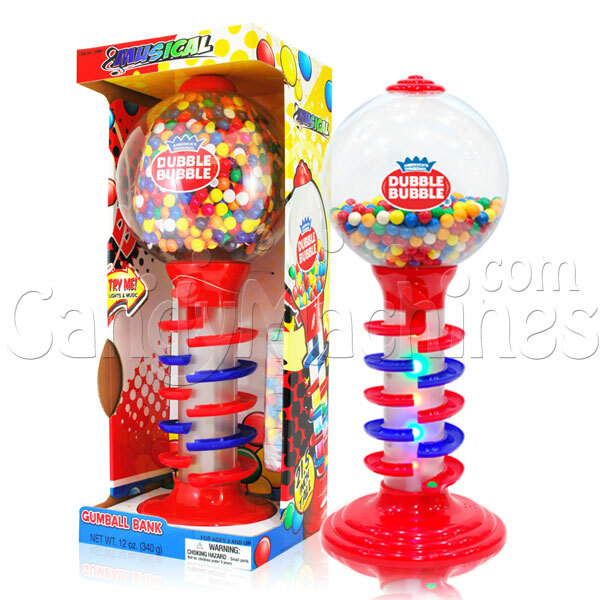 This spiral gumball bank would be great for a kid's room or game room. It stands at 21" tall and the spirals are on the exterior of the bank. There are also lights and zany sounds that play when a gumball dispenses. Includes 340 grams of assorted color gumballs. Works with 2 AA batteries which come with the machine.